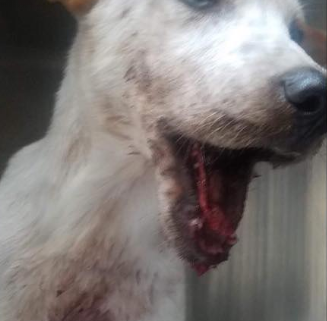 In the middle of the night, a dog with a broken jaw hovered near a parked car in McAllen, Texas; his jaw stuck open and bleeding profusely. 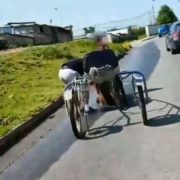 The pain was so excruciating, there seemed to have been no relief; that is until a kind couple spotted him and called out for help. Rescue Dogs Rock NYC immediately agreed, and the little dog whose life was saved outside of Little Caesars Pizza, was rushed to Pet Doctor 911 on Tuesday evening. And when Caeser arrived at the veterinary hospital and his condition could be fully evaluated, volunteers and advocates were heartbroken. He was covered in blood all over his chest and legs from his mouth. 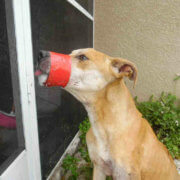 Even worse, veterinarians stated the dog’s bottom jaw had been severed and detached from his gums and mouth. 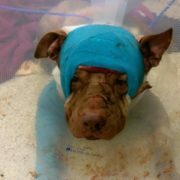 “Caeser is now on pain medication and resting comfortably. 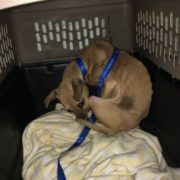 He cannot eat, he cannot move his mouth, he cannot open and close his mouth and he’s been in excruciating pain up until now,” Stacey continued on her latest update on the organization’s Facebook page. 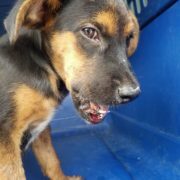 Caeser will require multiple surgeries to repair his badly broken jaw. Updates to follow. You can see the Trust this little guy has in People even though he was either hit by a vehicle or Kicked and Tortured by One of the Less Humanistic Population of The State of TEXAS that really gets a ” euphoric” High from torture and abuse… I hope that RDRNY can provide Caesar with the help to help him heal and have a loving family… He didn’t deserve this Out of Life!!! In Texas, of course. Someone must know who did this but unless they have a conscience, will never come forward. Thanks to RDR of NY, this dog will get the full care he needs regardless of the cost. Texas government,Governor, need to step up and deal with what is happening on a daily basis to animals in their state. This state is one of the worst in the country for their care of animals. 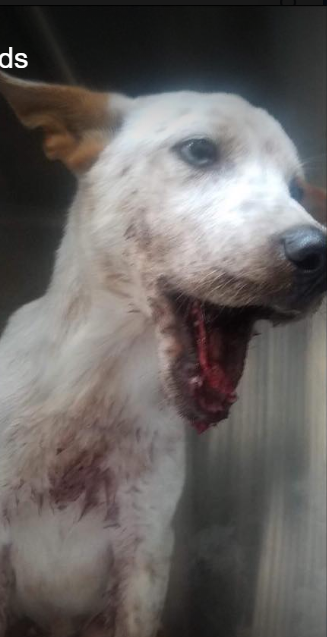 Anyone who lives in Texas and cares about animals, need to contact their state legislators and complain every day until the Governor takes action and helps all these abandoned dogs left on the streets in Texas. Thank you RDR of NY for rescuing this poor dog. Keep us informed as to how he is. 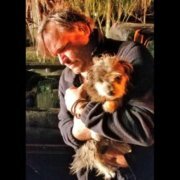 Rescue Dogs Rock can perform miracles (as you have read over and over) but seriously needs our help! Please donate and/or spread the word. Thank you very much. 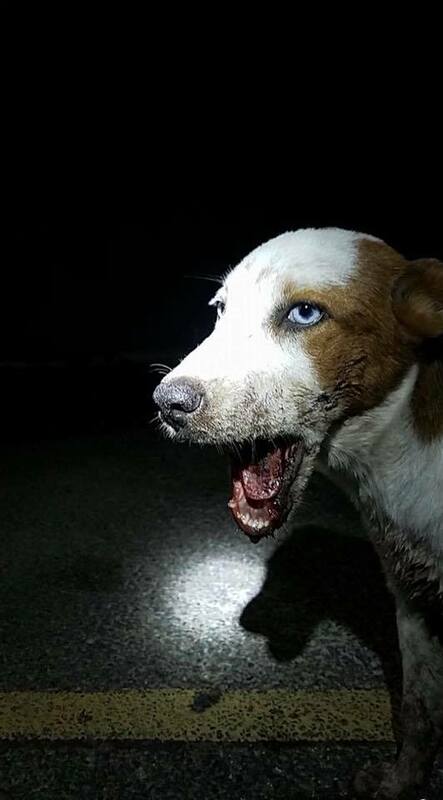 I’m glad someone stopped to help this poor pup and again we can thank Rescue Dogs Rock NYC for again stepping up to help Texas’s dogs in need. Another prime example of the piss poor treatment dealt to animals in the state of Texas and those responsible are allowed to get away with their abuse. 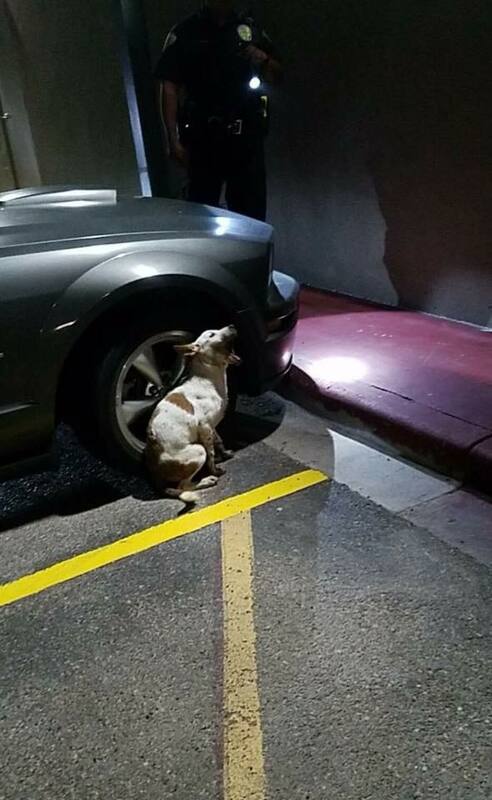 I understand no one knows who abused this poor dog but Texas will do absolutely nothing to investigate – if not for the two kind Samaritans this dog would have been left, walked past and ignored until he died of starvation. I hope his surgeries are successful and he gets the safe loving home he surely never had – just another reason I hate people who have no concern for animals. 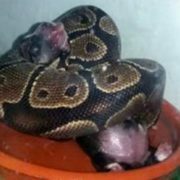 Poor, poor baby!! My prayers go out 2 Cesaer!! I hope he makes a full recovery! !